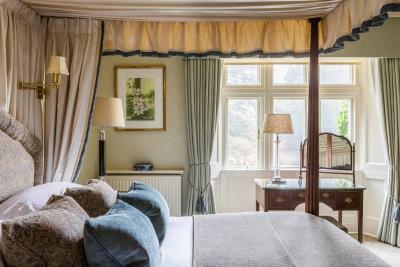 Lock in a great price for The Bath Priory - A Relais & Chateaux Hotel – rated 9.1 by recent guests! The staff and the food at the property are exceptional! Warm and helpful truly could not be better. The food was amazing! We had a beautiful tasting menu dinner and it was one of the best food experiences we have had! Amazing service and beautiful hotel! 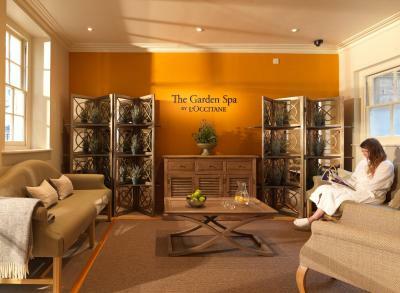 Setting, amenities, fabulous staff and service, beautiful accommodations both common areas and personal. Beautiful hotel with two wonderful restaurants and the most obliging staff. The best. The garden and grounds are breathtaking. 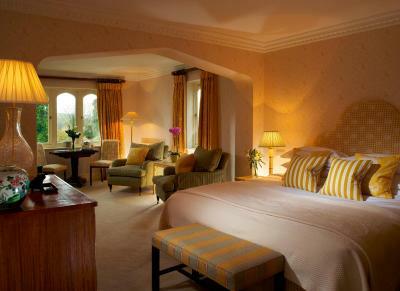 The hotel is a charming estate converted to a boutique hotel and feels incredibly private. 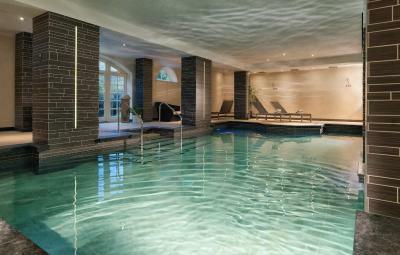 The spa facilities were wonderful as well as the indoor and outdoor pool. The staff were quite attentive and the two restaurants were marvelous. I would give the Priory 4.5 stars overall. Quiet, lovely for a relaxing getaway, amazing property, you feel like if you wore in the 19th century ♥️ Super Friendly staff ! The staff are incredible, really helpful and genuine 5* service. 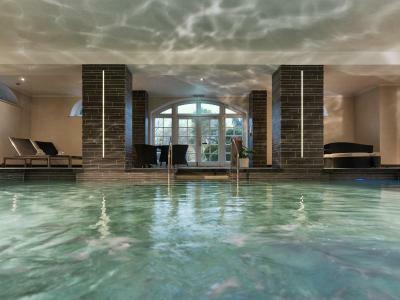 The spa is small, but well suited and not too busy. I loved our room, it was very clean, spacious and a proper treat. 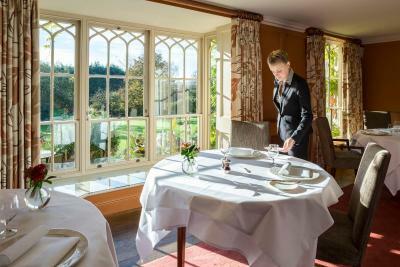 The Bath Priory - A Relais & Chateaux Hotel This rating is a reflection of how the property compares to the industry standard when it comes to price, facilities and services available. It's based on a self-evaluation by the property. Use this rating to help choose your stay! One of our top picks in Bath.In a luxury country house set within 4 acres of beautiful grounds, The Bath Priory Hotel features a luxury spa and celebrated restaurant. 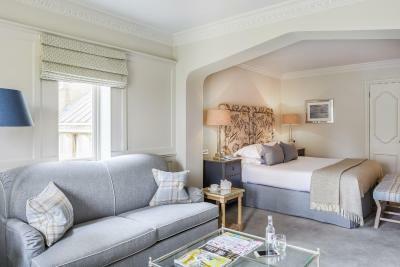 The hotel is located less than 2 miles from Bath Abbey. 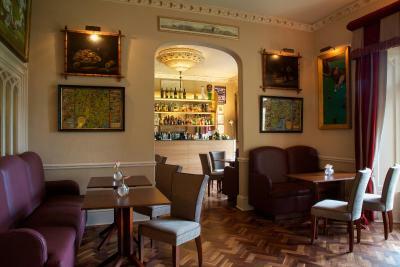 The Pantry offers casual dining with drinks in a cozy atmosphere. It is open from 09:00 until late. 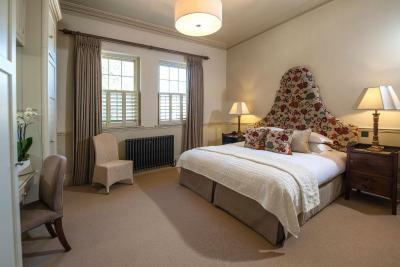 The luxurious rooms at Bath Priory have elegant decor and free WiFi access. 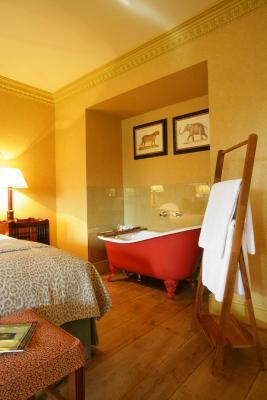 All rooms feature period furniture and spacious private bathrooms with fluffy bathrobes and designer toiletries. 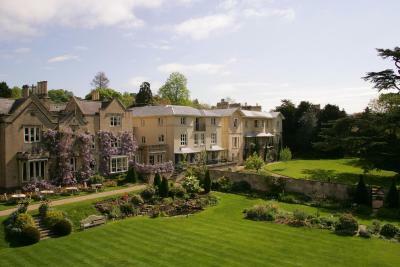 Surrounded by rolling Avon countryside, The Bath Priory Hotel is a 20-minute walk from the Jane Austen Center. 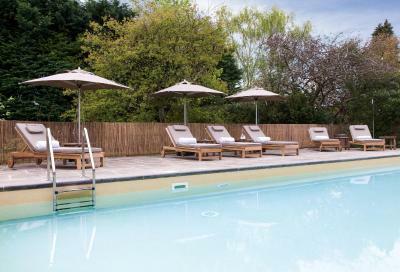 The hotel has free parking, and lively Bristol is a 20-minute drive away. These rooms overlook the courtyard at the front of the house and in the private bathrooms with separate shower and bathtub you find luxury designer products, slippers and soft dressing gowns. Please be advised that extra beds or cribs cannot be accommodated in these rooms. Pets are not allowed in the classic rooms. 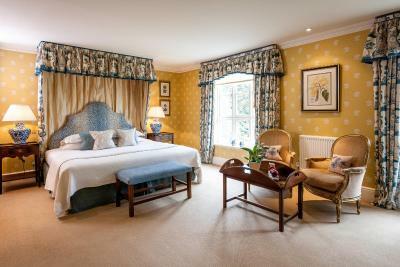 This room offers great views of the grounds from the back of the house and features luxury linens and luxury designer toiletries. Please be advised that extra beds or cribs cannot be accommodated in these rooms. This room overlooks the courtyard at the front of the house. 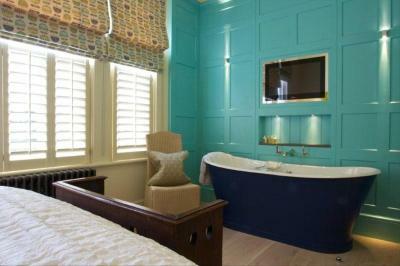 There is a small sitting area, bathrobes, slippers and luxury designer toiletries. 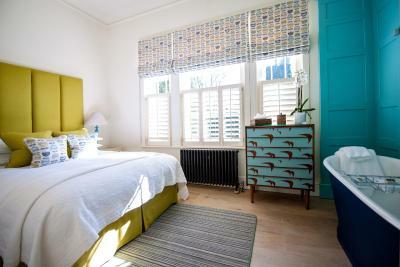 This room can accommodate an extra bed or crib. Please note that pets are not allowed in this room. Some deluxe rooms are located above the kitchen and may experience some noise during meal times. 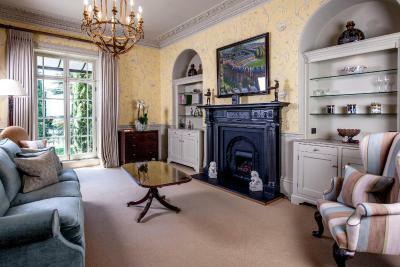 This room offers views of the grounds from the back of the house. 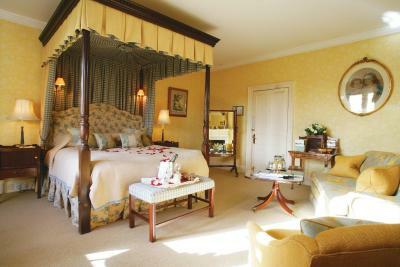 It has a small sitting area, bathrobes, slippers and luxury designer products. 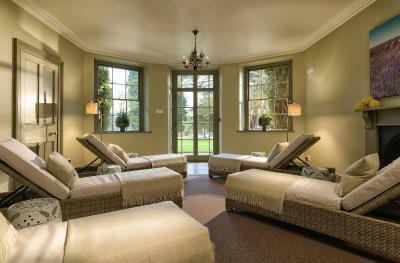 The Bath Priory Hotel and Spa accepts small dogs in 2 of the premier rooms. Please contact the hotel prior to making a booking to confirm availability. Charges apply. 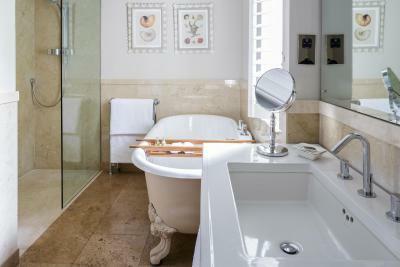 These luxury junior suites feature a separate shower and bathtub, a bathrobe, slippers and luxury designer toiletries. One is in the main building and features a four poster bed and others are in a separate building and come with a separate living room. Pets are not allowed in the junior suites. Please be advised that extra beds or cribs cannot be accommodated in these rooms. 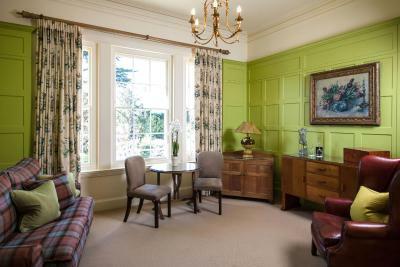 In a separate building next to the main house, the family suites offer views of the courtyard from the bedroom and views of the gardens from the living area. They have separate parking, a Nespresso coffee maker, tea-making facilities, bathrobes, slippers and luxury designer toiletries. One suite includes a king bedroom and a second bedroom with bunk beds for children up to 12 years old, and the other suite has a king bedroom and a separate single room. The rate is based on 2 guests' occupancy. Please see policies for extra bed costs. 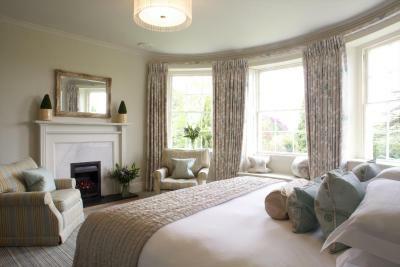 In a separate building next to the main house, the master suites offer views of the gardens and the city of Bath. They have separate parking, a Nespresso coffee maker, tea-making facilities, bathrobes, slippers and luxury designer toiletries. Pets are not allowed in the master suites. 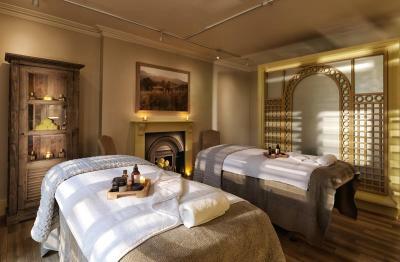 House Rules The Bath Priory - A Relais & Chateaux Hotel takes special requests – add in the next step! 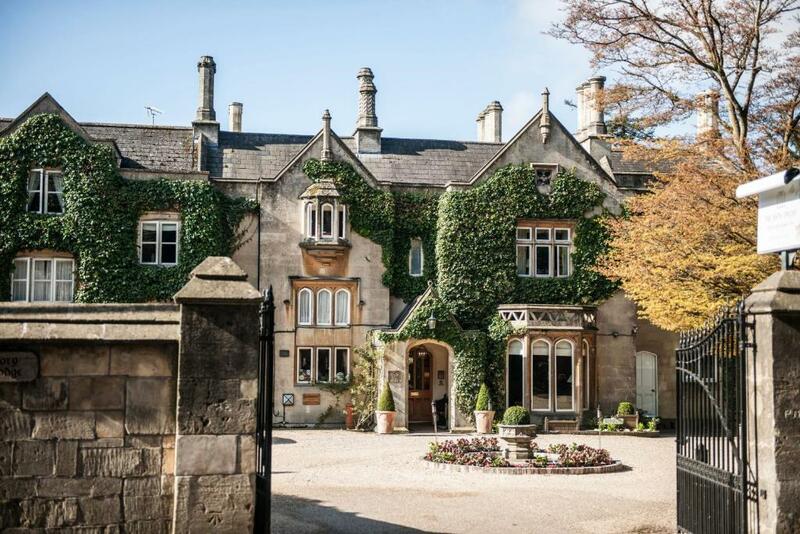 Please inform The Bath Priory - A Relais & Chateaux Hotel of your expected arrival time in advance. You can use the Special Requests box when booking, or contact the property directly using the contact details in your confirmation. very friendly staff, the fine dining is excellent!